A romantic comedy set during the esteemed tennis tournament, Wimbledon is harmless enough but also so incredibly light in terms of content that it threatens to blow away well before the 98 minutes are up. 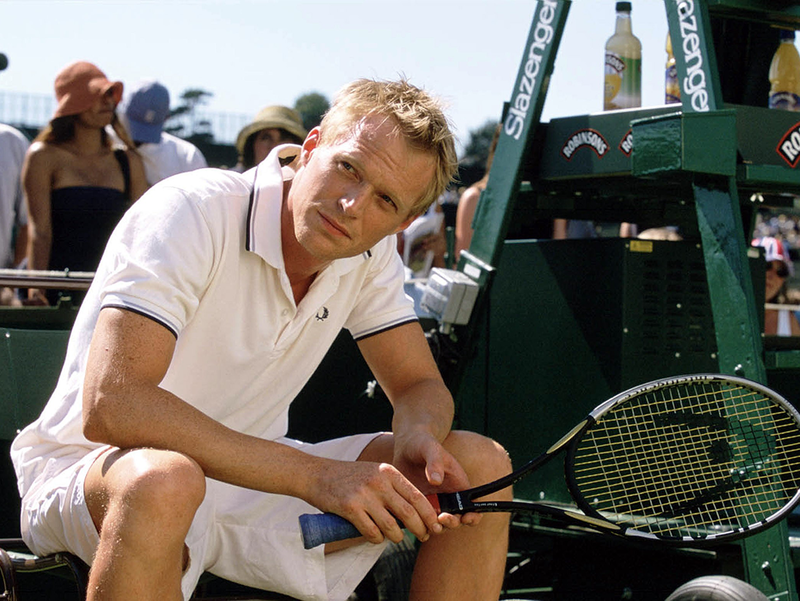 Peter Colt (Paul Bettany) is an English veteran tennis player on the pro circuit, once ranked eleventh in the world but now considered well past his prime. The Wimbledon tournament is about to begin and Colt receives a wild card entry, consistent with his status as a rank outsider. He accepts a new job as a tennis pro at a country club, and intends to announce his retirement as soon as he is eliminated. At the start of the two-week tournament Peter meets rising American star Lizzie Bradbury (Kirsten Dunst), embarking on her first Wimbledon but already considered among the favourites. Peter and Lizzie start a friendship that develops into a romance. Lizzie's father Dennis (Sam Neill) considers the relationship a distraction that will hinder his daughter's progress, and he tries to stop the couple from seeing each other. But rejuvenated by love, Peter goes on an unlikely winning streak, and his further progress in the tournament is dependent on being able to continue the affair with Lizzie. Wimbledon is a good looking film with attractive leads and a toney setting. But it's also a film where precious little actually happens. Peter and Lizzie meet, fall in love, encounter some routine complications, play a lot of tennis, and that's about it. An extraordinary amount of time is actually consumed showing tennis games being played, and the final climactic match extends for a good 20 minutes of screen time, betraying the lack of narrative momentum. Director Richard Loncraine works the lightweight script as best as he can, but cannot conjure up much subject matter. The perfunctory threats to the relationship come in the shape of the rather harmless Dennis. A younger, more aggressive McEnroesque American tennis player and potential romance rival (Austin Nichols) is portrayed in such broad strokes that he never registers. The assortment of friends who are supposed to enliven rom-coms are reduced to Peter's boring training partner and a corny agent (Jon Favreau), both of whom are utterly forgettable. The attempts at comedy and wit are more miss than hit. Paul Bettany and Kirsten Dunst are likeable enough, and what pleasure there is in the film is derived from two actors who are both better than the material, although neither convince as pro tennis players in the on-court action scenes. Bettany gives Peter some depth, and the premise of a fading star lucking into one last run to glory while battling his inner demons emerges as the most engaging part of the film. That this has almost nothing to do with the bland romance is a suitable summary of the film's deficiencies.